Born at Renfrew, Ontario on 17 February 1873, son of Samuel Forrest, he came to Manitoba with his parents in 1878. He received his early education at Souris and a BA degree from the University of Manitoba. 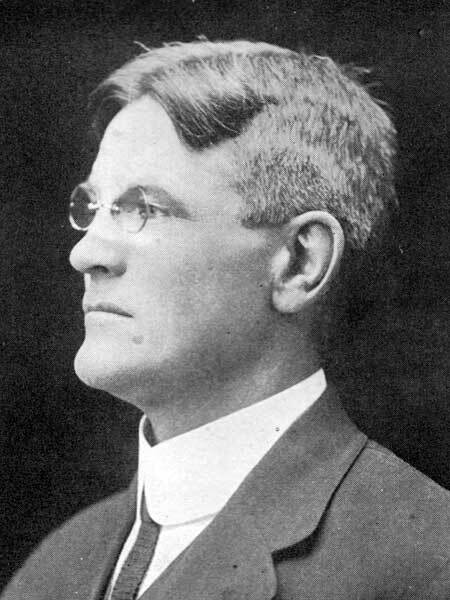 He taught school at Hartney (1897-1898), Souris and Brandon before being called to the Manitoba Bar in 1907 when he returned to practice law at Souris. He was later made a King’s Counsel. He retired from active practice in 1961. On 18 July 1899, he married Grace Helena Woodhull. They had six children: Henry Woodhull Forrest, Margaret Forrest (wife of L. B. Crawford), Grace Forrest (wife of Gordon Bowles), Catherine Isabel Forrest, Mary Forrest, and Helen Forrest. He was an elder of the United Church, a school trustee, President of the Manitoba School Trustees Association, a Bencher for the Law Society of Manitoba, and Chairman of the Souris School Board for 35 years. He was a Progressive candidate for the Glenwood constituency in the 1927 provincial general election. He was Master of the AF & AM (Glenwood No. 27 Lodge). In 1963, he received a Golden Boys Certificate of Merit in recognition of his long community service. He died suddenly at Souris on 13 December 1963 and was buried in Glenwood Cemetery. “Birthdays,” Winnipeg Free Press, 16 February 1963. Obituary, Winnipeg Free Press, 16 December 1963.